After an intense conversation about real world current events, the guys have a fun fast paced summer finale. 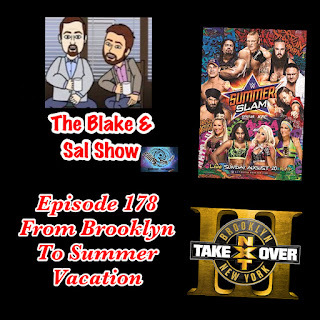 After going through some plugs, Sal talks about his appearance on the Full Circle Podcast and Blake talks about his vacation to the Mall of America. Then the wrestling talk begins as they check in on Ric Flair, many injuries, realize that Vacant has won another time championship and then break out a new independent wrestling segment. 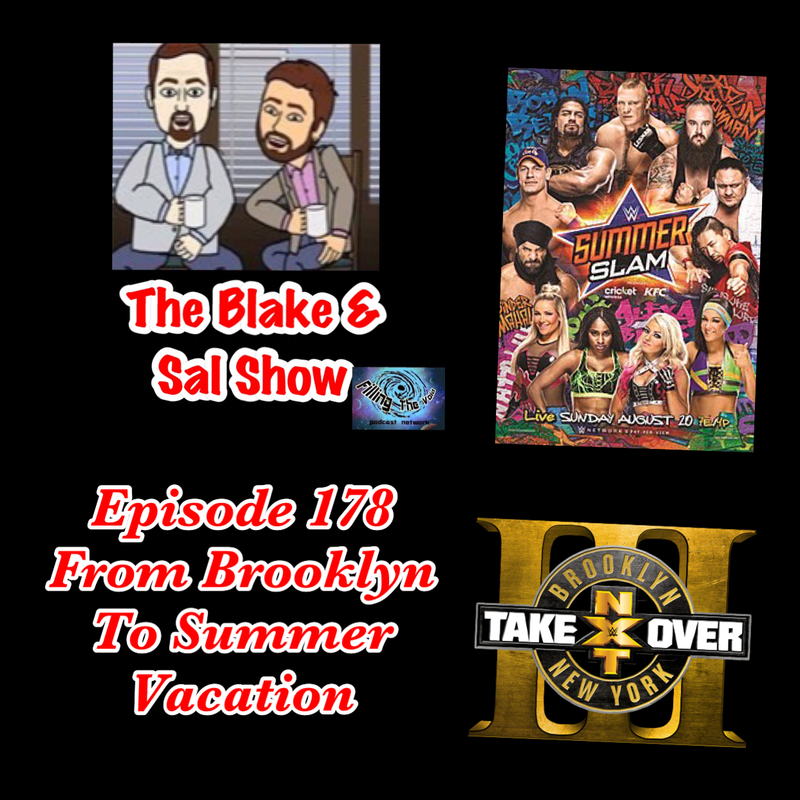 Finally they head to Brooklyn to have fun preview NXT Takeover: Brooklyn III & WWE Summerslam. It's a great talk and a fun end to the summer. PLUS there's a big t-shirt contest thanks to TeePublic. Enjoy the show!